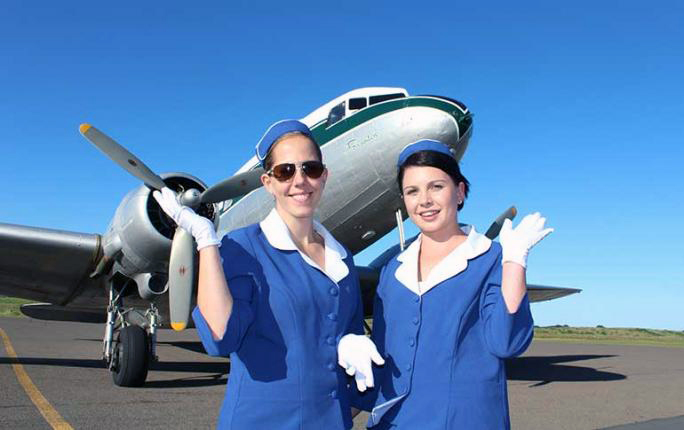 As well as the Saab 340 fleet, Air Chathams also operates a vintage DC3 which would be more exciting as well as historically appropriate for Paraparaumu. The company’s twin-engine turboprop Saab 340B aircraft seat up to 36 passengers, with a flight attendant on board. Flights will take 1 hr 20 minutes each way (a Saab 340 has a maximum speed of 500 km/h compared to 900 km/h for a Boeing 737). On the company’s website the three ticket options are “Thrifty” at $69 each way (non changeable and non refundable), “Saver” at $168 (changeable up to 24 hours prior to departure) and “Full Economy” at $318 (changes & refunds permitted free of charge up to 24 hrs prior to departure). In all cases you get a bag up to 23 kg (50 pounds) included in the price. That at least is better than within the U.S. and Canada where a checked bag costs $US 25. We hope council staff flying to Auckland to meet with their consultants will choose the “Thrifty” option, and will use a discount shuttle to and from the city rather than a taxi. Assuming the airline manages to fill all flights every week at the $69 rate, that works out to $4,133,176 a year — the KCDC’s annual $50,000 gratuity at ratepayers’ expense hardly seems to matter in that.